The Zoom portable recorders are very popular among news reporters, musicians and especially HDSLR shooters. The H2n breaks new ground by incorporating five internal microphones in a super small package. 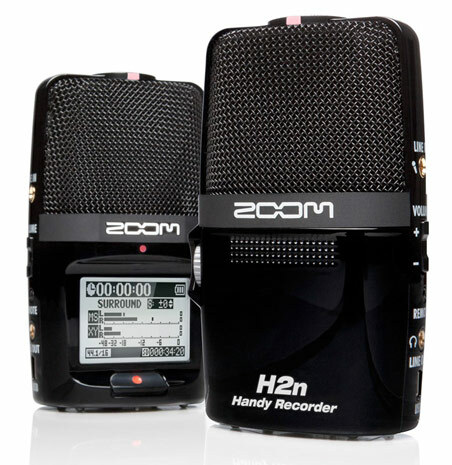 Unlike its big brother, the Zoom H4n, the H2n does not include 1/4″ or XLR inputs. However, if you’re looking for a solid portable recorder for under $200, the H2n should be on your list. Look for it to arrive in September.